Each of the 13 lessons contains step-by-step instructions to help prepare and teach. Tips help teachers understand kindergartners and first graders, with helpful suggestions for enhancing their Sunday school experience. 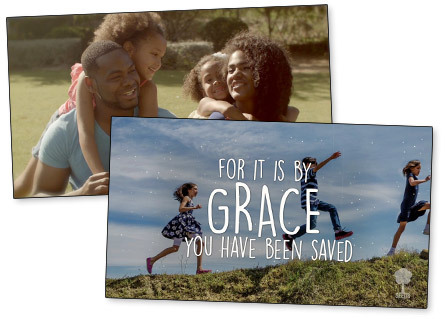 The lessons guide pre-session and worship activities, and walk through a four-step lesson plan. Bible background articles provide further interesting information. Essential audio and visual resources to go with the Teacher’s Commentary. 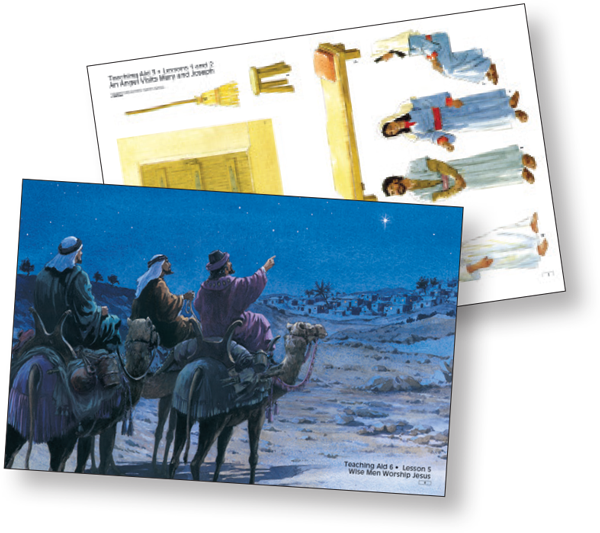 Enhances lessons with a variety of Bible art posters, moveable Bible figures, an attendance chart, and a music CD featuring three original worship songs (stereo and instrumental) that correlate with each of the three units per quarter plus a quarterly theme song. 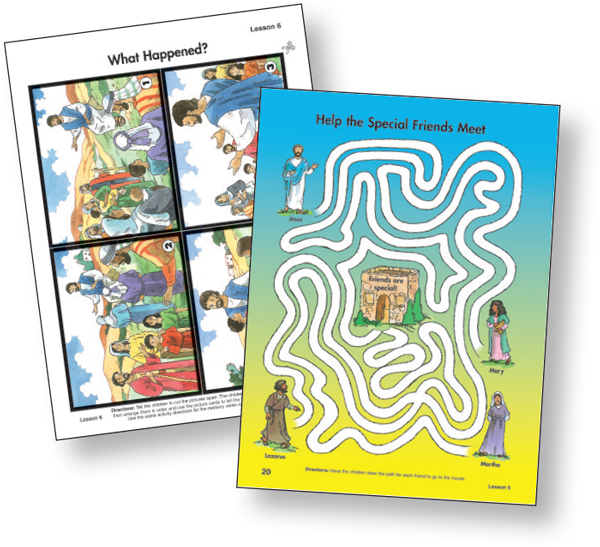 Teachers can use this craft booklet during the Bible Application step of the lesson so students can explore what they have just learned in the Bible story. These heavy-paper craft pages turn into books, story puppets, puzzles, simple sculptures, and cards. 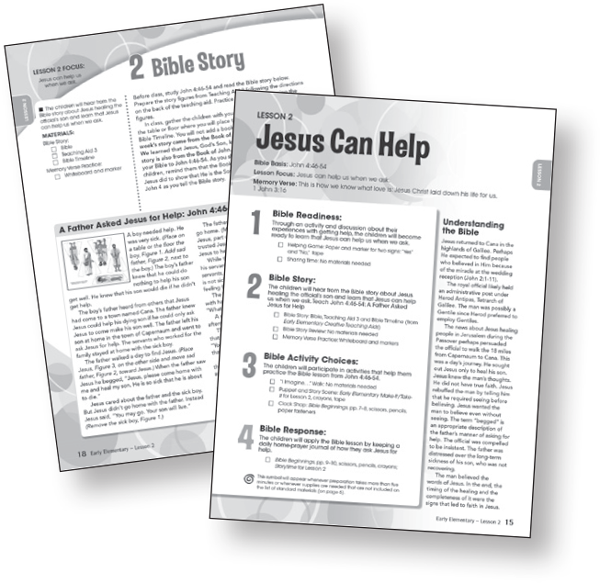 Teachers can use this product as an in-class paper and then send it home to help Bible lessons thrive in students’ hearts and hands. 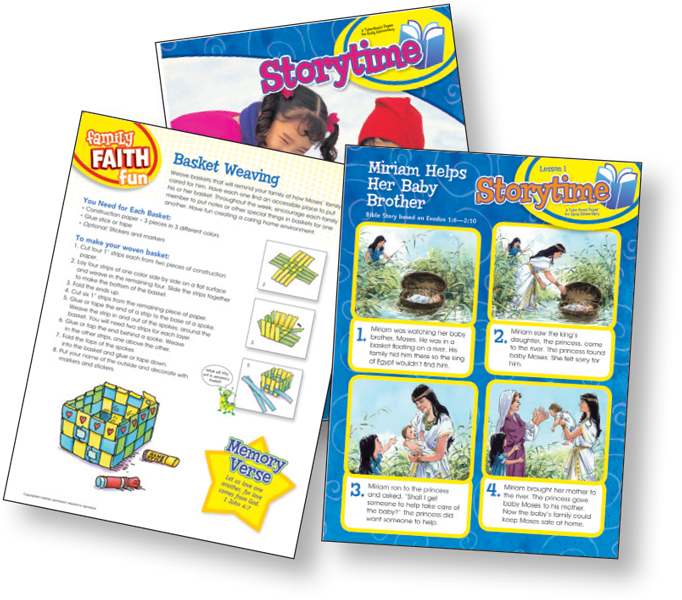 Each weekly paper presents the Bible story, a contemporary story, and a family component for extending the Bible lesson at home during the week.